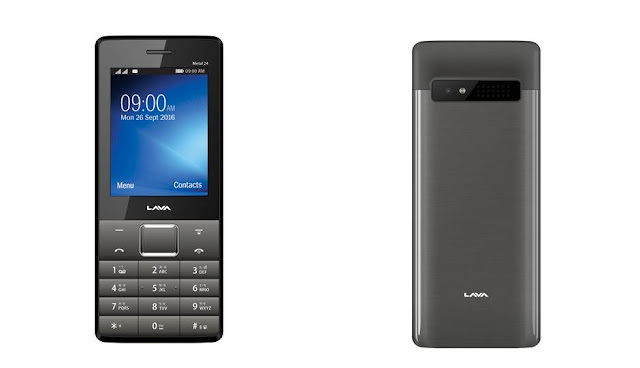 Lava has announced Metal 24 feature phone, first in company's 'Metal Series' phones. The feature phone comes with enhanced screen and offers premium feel with metal back finish. The feature phone offers long battery life and has a 1.3MP rear camera with flash. Lava Metal 24, under its new ‘Metal Series’ of Dual SIM feature phones. Enhancing the style quotient of the phone, Lava Metal 24 is a Dual SIM phone which comes with a premium looking Metal back finish and offers a combination of features including a 6.1 cm (2.4”) screen, 1.3 MP rear camera with flash and a long lasting 1000 mAh Li-ion battery. As the largest seller in the feature phone segment since last four quarters (Q4’15 to Q3’16), Lava continues to pioneer the development of next generation feature phones. With this, Lava strives to digitally empower consumers’ lives by providing affordable and reliable devices. Priced at Rs. 2000/-, Lava Metal 24 is available in black and gun metal color variants across national retail stores and multi-brand outlets.